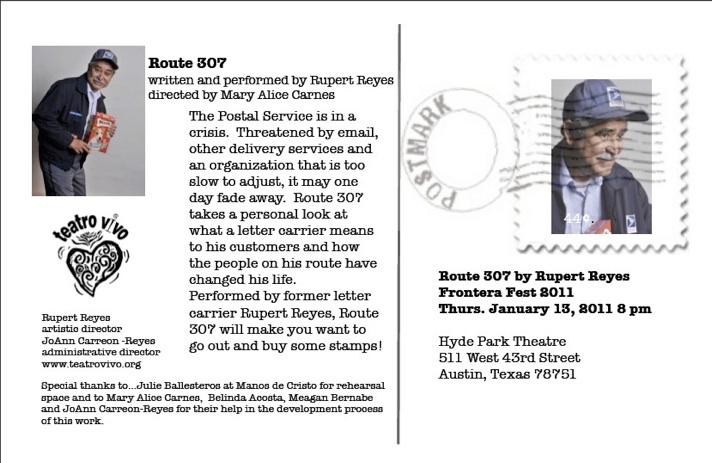 These workshop-style presentations are lively readings with props and movement on stage, riding the fence between staged reading and full-out production. 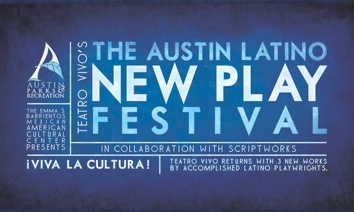 After each production the playwright and audience will participate in moderated talk-back sessions so attendees can provide feedback to the playwrights. 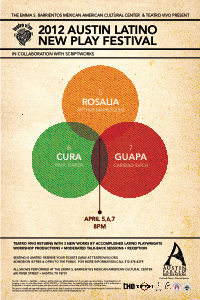 Though the productions have Latino roots, they explore cross-cultural age-old themes and modern dilemmas that will surprise, challenge, engage and push the dramatic envelope for audience members accustomed to one-way conversations at the theater. 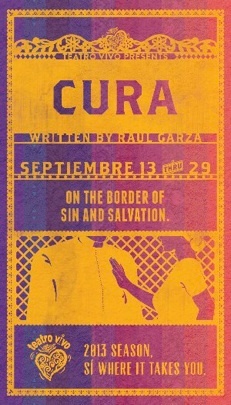 It’s 2026 in “Texaco” – the ungoverned, lawless territory formerly known as South Texas. Here, a few struggling residents remain, constantly embattled with drug cartels, military and occasional interlopers. With a nod to the past, and an eye to the future, Dos Pocitos is a comedy about this place, and the place it represents for all Latinos. 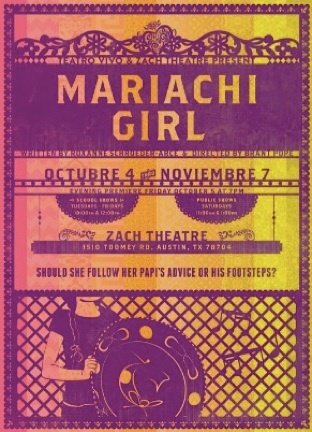 Mariachi Girl is a bilingual musical for the whole family! Eight-year-old Carmencita dreams of being in her father’s Mariachi band, but her father insists that mariachi groups can only include men. When Carmencita reads a book about a famous female mariachi it expands her world and notion what is possible. 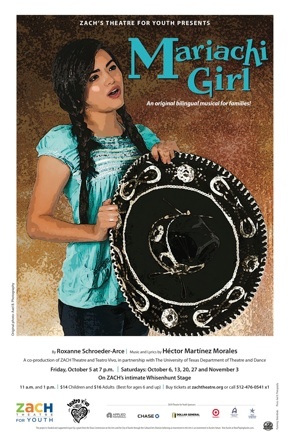 Full of vibrant original mariachi music, this play explores how one girl can challenge her identity in a modern society while embracing her rich heritage. 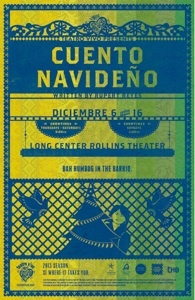 Teatro Vivo returns in December 2012 with the gift of laughter this holiday season with the bilingual comedy, Cuento Navideño, Bah Humbug in the Barrio. 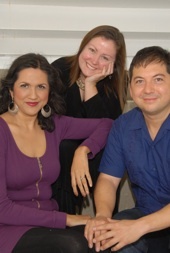 Written and directed by Rupert Reyes and inspired by Charles Dickens’ A Christmas Carol, Cuento Navideño (A Christmas Story) takes place on Christmas Eve in a modern, urban Latino community. Evangelina Cruz is the Latina Ebenezer Scrooge! 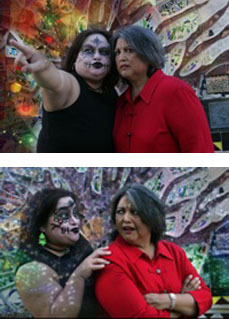 She is a selfish businesswoman who has lost touch with her culture, her family and connection to her community. An unexpected visit from the ghost of her former business partner, the once equally-greedy Teodora, sets Evangelina on a journey to look closely at her choices. This festive bilingual comedy infuses Latino culture, Spanish language, and Latino holiday traditions in a show to be enjoyed by the whole Austin familia.